Shenkar is widely considered a living legend and a musical genius by his peers who hold him in the highest esteem. Shenkar has enthralled audiences and critics alike all over the world. A child prodigy who is a virtuoso vocalist (with a five and a half octave vocal range), multi-instrumentalist, composer and record producer who has sold over 75 million albums through his solo projects and collaborations with other artists throughout the world. Shenkar & Eddie “Radiotronics” Ft. DJ Dalysovich EDM CD was released in April 2016. “Shenkar Experience” North American 2015 Tour starts on October 1st, 2015 at Club Nokia at L.A. Live in Los Angeles. Shenkar’s latest electronic dance music album “Transcend” was released on the same day as the Heroes Reborn NBC series, which features Shenkar’s vocals, on September 24th, 2015. His vocals was also featured on the video game Rainbow 6 Siege released in December 2015 with composer Paul Haslinger. Shenkar’s “Enlightenment” Indian classical CD was re-released on 2015 marking the 25th anniversary of the three legendary artists Shenkar, Zakir Hussain, Vikku Vinayakram from the ground breaking group “Shakti”. “Champion”, Shenkar’s album, was released on SRI Music on Sep 8th, 2014. This album consists of mostly Electronic Dance Music and has many collaboration tracks like Hellywood, We Are The Apocalypse, PR0TEG3, DJ Dalysovich, and LA Drum Cartel, which will blow your mind away! “The Revelation” Shenkar’s album, was released on SRI Music in 2013 EDM album consisting of many collaboration tracks with talented DJs. Shenkar’s album, In a Box, was released on Big Deal Records in June 2012. “In a Box” contains many contagious songs featuring catchy vocals hooks and stunning arrangements to capture listeners. This was his third album for Big Deal Records. Shenkar’s single “Open Mind”, a highly energetic Dubstep track, which is a collaboration between himself and We Are The Apocalypse, is out on Beatport. Shenkar was also featured along with DJ Dalysovich on Hellywood’s new single Mirage, which is out now on Beatport. Shenkar recently co-founded “Vedazen” with the legendary DJ Baba G who is the creator of the genre known as Goa Trance. Vedazen embarked on a world tour organized by William Morris Endevor. Shenkar’s previous pop albums have featured guest artists such as Frank Zappa, Peter Gabriel, Phil Collins, Bruce Springsteen, Van Morrison, John Waite, Stewart Copeland (The Police), Ginger Baker, Toto, Johnathon Davis (Korn), Natasha Bedingfield, Pat Monahan (Train), Juliett Rose, Kid Knuckles, Randy Jackson (American Idol) and Patrick Leonard (Madonna) amongst others. Shenkar’s pop DVD, “One In A Million”, became the number 1 DVD in the US spending 4 weeks on top of the U.S. Soundscan/Billboard charts. 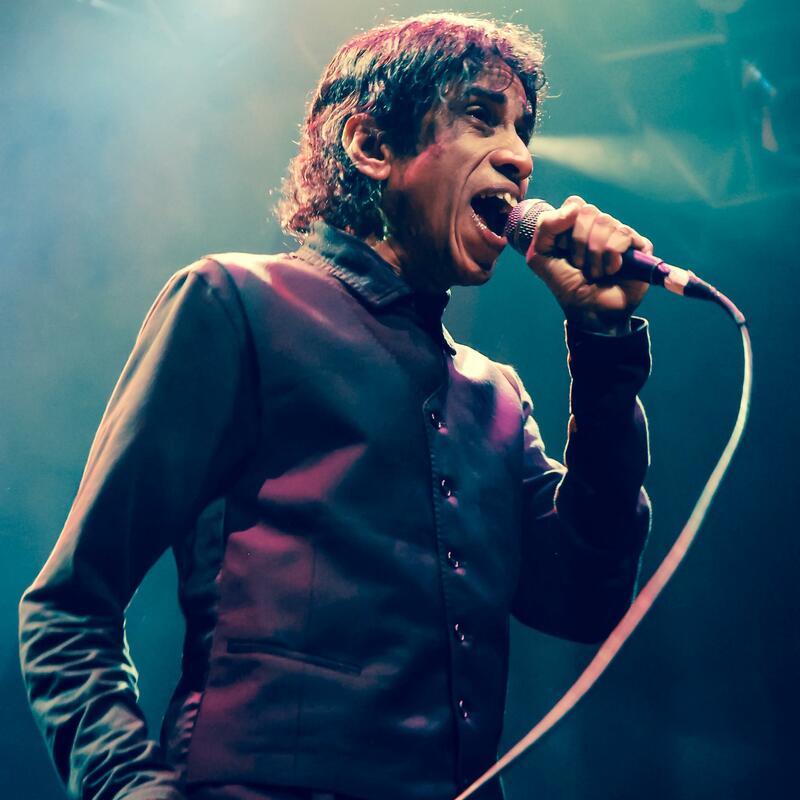 Shenkar has also worked as a composer, arranger, producer, singer, violinist and performer with Frank Zappa (who produced Shenkar’s solo record for Zappa Records), Talking Heads, Pete Townsend, Lou Reed, Marianne Faithful, Sting, Jeff Beck, U2, The Pretenders, Echo & The Bunnymen, John Lydon (Public Image Ltd.), George Harrison, Michael Jackson, Madonna and Dave Stewart. Shenkar co-found and co-wrote all the materials for the group Shakti with John McLaughlin. Shenkar created and designed his own invention, the 10 string stereophonic Double Violin, built by Ken Parker. The Double Violin covers the entire range of the orchestra. Shenkar has worked on numerous soundtracks including the Grammy award winning and controversial “The Last Temptation of Christ” by the legendary film maker Martin Scorsese. He co-wrote many tracks with Peter Gabriel and his vocals were featured in the movie. In 2004 Shenkar, composed and performed vocals on Mel Gibson’s “The Passion of the Christ”. His unmistakable haunting voice was heard all through the movie. Shenkar’s various collaborations have brought him international fame and a legion of fans across the globe. “Shenkar, with his five-and-a-half octave vocal range, engrossed audiences with his unparalleled vocal ability”. Shenkar has released numerous solo albums and videos in various idioms of music from pop to rock and soundtracks, including the musical composition of the 2005 Oscar winning documentary, “Born Into Brothels”. In 1990, Shenkar co-produced a one-hour BBC film directed by award winning director H.O. Nazareth. It was nominated as one of the best documentaries at the Cannes Film Festival. Shenkar’s work has been featured in the following films: “Queen of The Damned”, “Ali”, “Jennifer 8”, “Robin Hood”, “Jacobs Ladder” and more. Additional special projects have included The Princess Trust Rock Concerts, The United Nations Peace Day Festivals, and Nelson Mandela’s 80th Birthday celebrations. The rock extravaganza, Human Rights Now World Tour in 1988, featured Shenkar’s own group, who were joined in performance by Bruce Springsteen and Peter Gabriel, in addition to several other musicians. Shenkar collaborated with the gifted duo Wendy & Lisa (Prince) on their original score for the NBC smash hit TV series “Heroes” (2006-2010). Shenkar was the featured lead vocalist on the theme and all episodes of “Heroes” and “Heroes Reborn” (2015). He is also the featured lead vocalist for the gifted composer Paul Haslinger (Tangerine Dreams) for the hit TV series “Fear The Walking Dead” (2016). Shenkar’s label Sri Music has talented artists such as Juliett Rose, Kid Knuckles and Subliminal Masterminds. Music from these exciting artists will be released digitally soon. Check out Shenkar’s latest album “Transcend” which is now out on all digital music stores including Beatport, iTunes, Amazon, and more! Also check out his last few albums “Transcend” (2015),”Enlightenment” (2015),”Champion” (2014) “The Revelation” (2013), “In a Box” (2012), “Face to Face” (2009), and “Open the Door” (2007).